The Trump Organization has dropped a battle with hotel workers in Las Vegas and agreed to allow a union organizing vote at its new hotel in Washington, workers say. Unions representing food, bar and housekeeping workers at the Trump International Hotel Las Vegas said Wednesday that they had agreed with management on a four-year contract including wage increases, a pension, family health care and job security. Workers at the hotel voted to unionize last year. 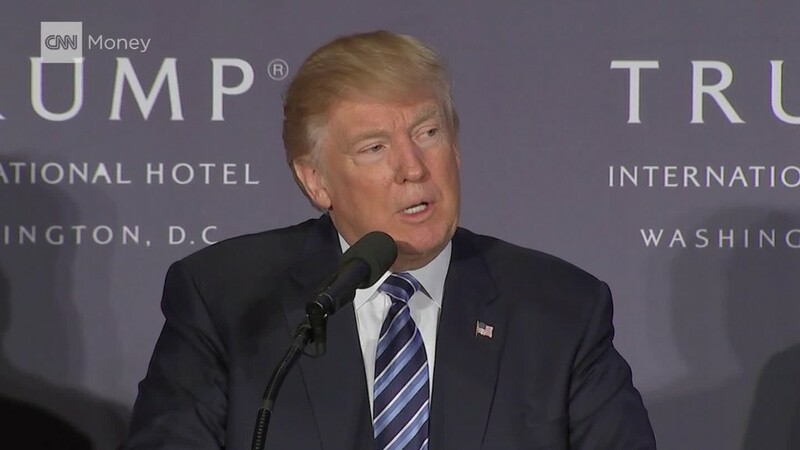 Trump hotel management refused to recognize the union, charging that employees had been intimidated into voting Yes, but the National Labor Relations Board ruled for the workers in November. The agreement announced Wednesday ends a court challenge launched by Trump's lawyers. Representatives for the Trump Organization and Trump Hotels did not immediately respond to a request for comment. Unite Here, a coalition of the unions, also announced that workers at the Trump International Hotel in Washington will be allowed to begin an organizing campaign. The statement quoted Trump Hotels CEO Eric Danziger as saying the company shares "mutual goals" with Unite Here, and that both "desire to ensure outstanding jobs for the employees." Trump's hotel chain carries more than one potential conflict of interest for the incoming president. As president, Trump will have the power to appoint three of the five members of NLRB, which could hear future disputes between Trump hotels and workers. He could end up appointing all five, plus the board's top lawyer. And Trump leases the building for the Washington hotel from the federal government, meaning he will be both tenant and landlord when he takes office. --CNNMoney's Chris Isidore contributed to this story.